Home Blacklist IMEI Check	SFR Blacklist IMEI Check Service: Stolen, Lost, Replaced, Fraud or pending Contract Bills? 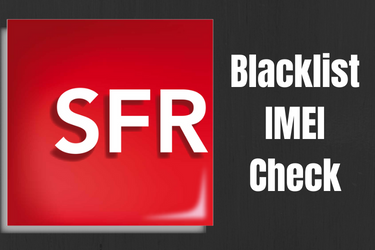 SFR Blacklist IMEI Check Service: Stolen, Lost, Replaced, Fraud or pending Contract Bills? There are many Free SFR Blacklist IMEI Check Tools but they will only tell you if a handset was blacklisted as lost or stolen. The Blacklist Status of a wireless phone is much more complicated and I will show you how to be 100% sure that an iPhone or an Android phone is not blacklisted. Do you really know why a cell phone gets blacklisted? When the original owner uses Warranty or Insurance Plan and asks for a phone device replacement. As soon as the replacement arrives the old handset will become blacklisted. When there are pending contract bills to a Telecoms Network. In this case, we also say that the phone was barred or greylisted. If none of the above applies, then the mobile is CLEAN. So knowing the lost/stolen status of a phone doesn’t prove if a cell phone is blacklisted or not. As soon as a wireless phone becomes blacklisted, it will be verified through the phone’s IMEI and GSMA–GSX databases. First of all, the reason behind your mobile’s bad IMEI will judge if you will be able to SIM Unlock it or unblacklist it. On top of that, you won’t be able to use any kind of Network Unlock or Unblacklist Service without knowing the blocking Mobile Network. If you choose to just Carrier Unlock the blacklisted handset then it won’t be able to use it inside the country it was blacklisted. Of course, if you are just checking a refurbished cell phone you are interested in buying then the SFR Blacklist IMEI Check will reveal the Blacklist Status. But is this info enough? 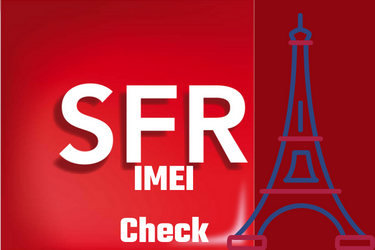 Why use a Full SFR IMEI Checker? The blacklist Status is not enough if you want to be 100% sure about a wireless phone. Which Cellular Network Locked it? Is it still protected by Warranty? Is it still under contract with the previous owner? Does it have a replaced IMEI or Serial number? All these issues can cause you big problems and lock, relock or blacklist a mobile. I highly recommend a Full SFR IMEI Check instead of a simple Blacklist IMEI lookup. Leave a comment below if you need our help or you want more info about IMEI Checking. Until next time, take care!